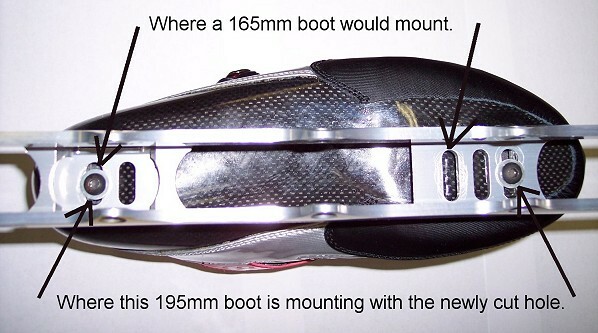 How to mount a 195mm boot on a Mogema Cross Trainer 12.8" 5x80 165mm frame. As you can see, there are 2 slots in back and 2 slots in front. Measuring the frames it looked like there would be enough room in front of the front 2 slots to put one more slot that would accommodate the 195mm boot. 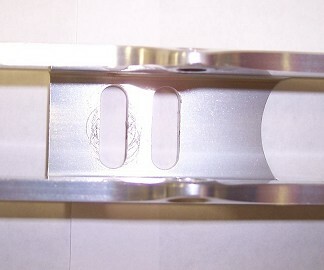 Below you can see the stock under side of the CT frame. 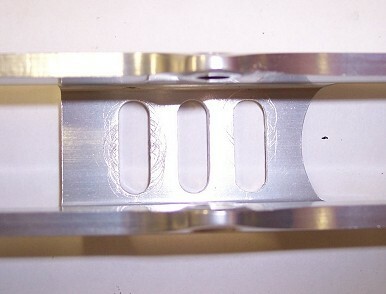 Below is a closeup of the front mounting slots of the frame. Below I am marking the center of the slot that I will drill out. 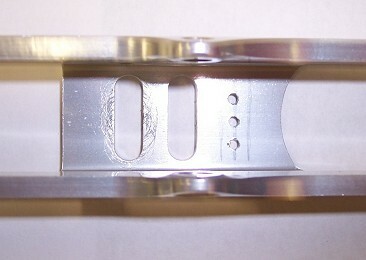 Below I have marked the width of the slot I will drill out. Below is a small drill I will use to make a pilot hole. Below you can see the 3 pilot holes I have drilled. Below is a larger drill used to take the majority of the material out. Below I have used the larger drill to drill out the pilot holes. I then used a round and flat file to finish the slot (aluminum cuts pretty easy). Below is the finished slot. Below is shown from a distance. 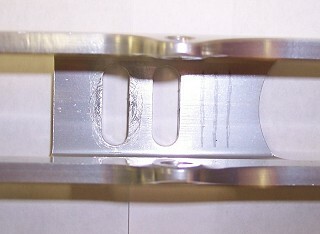 Below is shown from the top. Below you can see where a standard 165mm boot would mount and where the 195mm Victory is mounting. And finally below is the 195mm Victory boot mounted to the now 165mm - 195mm Mogema Cross Trainer 12.8" 5x80 frame. 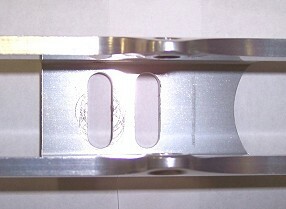 This worked very well as I used the same proportions for the new slot as the two slots that were already on the frame. 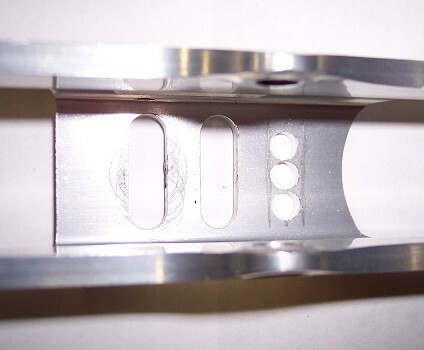 The new slot was the same distance apart as the two stock slots and the same width and length as the two stock slots. I can now test the new 195mm Victory boot against the 165mm C4 and C6 boots without frame height tainting the boot review. 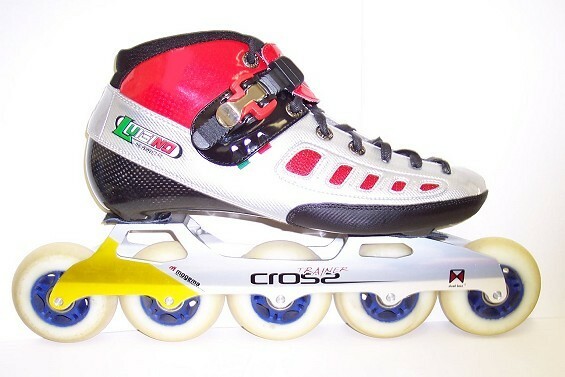 Also the joy of skating distance with the 195mm Victory mounted to the CT 5x80 frame (as opposed to a 90 or 100 frame) almost ensures no ankle strain and the ability to hit the outside edge seemingly forever. Please email support@nettracing.com if you have any questions.